1 D Scott J. Duvall & Daniel J. Hays (2011-09-01). Baker Illustrated Bible Handbook (Text Only Edition), The (Kindle Locations 7970-7972). Baker Book Group. Kindle Edition. 2 Bruce Wilkinson, and Kenneth Boa, Talk Thru the Bible. (Nashville, Atlanta, London, & Vancouver: Thomas Nelson Publishers, 1983), p. 308. 3 Cf. For Matthew’s emphasis on money themes in his Gospel: Matthew 17: 24– 27; 18: 23– 25; 20: 1– 16; 26: 15; 27: 3– 5; 28: 11– 15. 4 Wilkinson, and Boa, Talk Thru the Bible, p. 308. 5 Michael J.Wilkins serves as Distinguished Professor of New Testament Language and Literature, as well as Dean of the Faculty at Talbot School of Theology at Biola University. He is author of Matthew (NIVAC); and Following the Master: Biblical Theology of Discipleship; “Matthew” (ZIBBC). 6 Cf. Irenaeus, Against Heresies 3.1.1. 175 A.D.
7 Ed. Michael J. Wilkins, ESV Study Bible. (Wheaton Illinois: Crossway, 2009), p. 1815. 8 Wilkinson, and Boa, Talk Thru the Bible, p. 309. 9 Wilkinson, and Boa, Talk Thru the Bible, p. 310. 10 Ed. Michael J. Wilkins, ESV Study Bible, p. 1815. 11 Scott J. Duvall & Daniel J. Hays, Baker Illustrated Bible Handbook (Text Only Edition), The (Kindle Locations 7987-7988). 12 D.A. Carson, & Douglas J. Moo, An Introduction to the New Testament. (Grand Rapids, MI: Zondervan, 1992), p. 81. 13 Example: The place of Mosaic Law in Jesus Christ’s teaching in the lost sheep of the house of Israel. 14 Carson & Douglas, An Introduction to the New Testament, p. 79. 15 Example: Matthew 16:18; 18:17-18. While there is no mention of church officers, order within the New Testament Community is seen among the people. The discipline case in Matthew 18 is seen in broad principles applicable even in the earliest stages of Christianity and their local autonomy as a new covenant community. 16 Professor of New Testament at the Masters Seminary. 17 Robert J. Thomas, “Historical Criticism and the Great Commission,” The Masters Seminary Journal. (Jo.11 No. 1. Spring 2000), p. 39. 18 Cf. for the Ancient Church historical views on the Great Commission: Ignatius, Irenaeus, Tertullian, Hippolytus, and Cyprian. 20 “The Prescription against Heretics,” (ANF, 3:252). 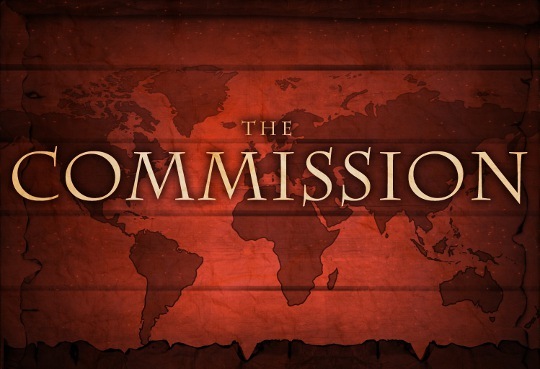 21 Hal Freeman, The Great Commission and the New Testament: An Exegesis of Matthew 28:16-20. SBTS Article: http://www.sbts.edu/resources/files/2010/02/sbjt_014_win97_freeman.pdf on May 28th, 2013, p. 14-23. 22 Louis Berkhof, Systematic Theology. (Grand Rapids, MI: Eerdmans, 1996), p. 582. 23 Berkhof, Systematic Theology. p. 582. 24 Hal Freedom, The Great Commission and the New Testament. p.15. 25 The Holy Bible: English Standard Version (Wheaton: Standard Bible Society, 2001), Mt 28:10. 26 Cf. Donald Hagner, Matthew 14-28, WBC, 33B. (Dallas: Word Books, 1995) p. 884. 27 John Calvin and William Pringle, vol. 3, Commentary on a Harmony of the Evangelists Matthew, Mark, and Luke (Bellingham, WA: Logos Bible Software, 2010), p. 380-81. 28 The MacArthur Study Bible, ed. John MacArthur, Jr., electronic ed. (Nashville, TN: Word Pub., 1997), Mt 28:16. 29 Drs. Freeman shows that Dr. Hager has pointed out why this interpretation does render with Matthew’s intent. “That all of the other uses of hoi de in Matthew could be interpreted as inclusive, not partitive, and some of them demand the inclusive interpretation. Further, Matthew could have used tines tines auton to indicate clearly that he meant a subgroup from within the eleven.” Cf. Hal Freedom, The Great Commission and the New Testament. p.14. 30 Cf. for an in-depth exegetical explanation, L. Morris, The Gospel According to Matthew (Grand Rapids: Eerdmans, 1992) 745. 31 Second interpretation problems: One, Dr. Hal Freeman makes note, “The problem with this interpretation is that Matthew has referred only to the eleven, and the context gives no indication that others are present. This interpretation is simply dictated by the conviction that the same group cannot worship and doubt at the same time.” Two, Dr. L. Morris says, “It can scarcely mean that the hesitaters were among the worshipers; Matthew is saying that there were those who worshiped and there were those who hesitated.” See The Gospel According to Matthew (Grand Rapids: Eerdmans, 1992) p. 745. 32 Hal Freedom, “The Great Commission and the New Testament.” p.16. 33 John Calvin and William Pringle, vol. 3, Commentary on a Harmony of the Evangelists Matthew, Mark, and Luke (Bellingham, WA: Logos Bible Software, 2010), 381. 34 Cf. I. P. Ellis, “But Some Doubted,” New Testament Studies. Vol. 14 (1967-68). p. 575. 35 Hal Freedom, “The Great Commission and the New Testament.” p.16. 36 Louis A. Barbieri and Jr., “Matthew” In , in , vol. 2, The Bible Knowledge Commentary: An Exposition of the Scriptures, ed. J. F. Walvoord and R. B. Zuck (Wheaton, IL: Victor Books, 1985), 93. 37 Cf. for the word power means “authority,” the right to use power in Warren W. Wiersbe, The Bible Exposition Commentary (Wheaton, IL: Victor Books, 1996), Mt 28:16. 38 John Calvin and William Pringle, vol. 3, Commentary on a Harmony of the Evangelists Matthew, Mark, and Luke (Bellingham, WA: Logos Bible Software, 2010), p. 382. 39 Cf. for a Biblical Theology of “Son of Man” between Matthew 28:18 & Daniel 7:14, G.K. Beale, A New Testament Biblical Theology: The Unfolding of the Old Testament in the New. (Grand Rapids, MI: Baker, 2012), p. 390-91. 40 G.K. Beale, A New Testament Biblical Theology: The Unfolding of the Old Testament in the New. (Grand Rapids, MI: Baker, 2012), p. 390. 41 The MacArthur Study Bible, ed. John MacArthur, Jr., electronic ed. (Nashville, TN: Word Pub., 1997), Mt 28:19. 42 Cf. R. D. Culver, “What is the Church’s Commission?” Bibliotheca Sacra. 125 (1968), p. 243-253. 43 G.K. Beale, A New Testament Biblical Theology. p. 390. 44 John Calvin and William Pringle, vol. 3, Commentary on a Harmony of the Evangelists Matthew, Mark, and Luke (Bellingham, WA: Logos Bible Software, 2010), 383. 45 Matthew Henry, Matthew Henry’s Commentary on the Whole Bible: Complete and Unabridged in One Volume (Peabody: Hendrickson, 1994), Mt 28:16–20. 46 Matthew Henry, Matthew Henry’s Commentary on the Whole Bible. Mt 28:16–20. 47 John Calvin and William Pringle, vol. 3, Commentary on a Harmony of the Evangelists Matthew, Mark, and Luke (Bellingham, WA: Logos Bible Software, 2010), 384. 48 Cf. Matthew Henry, Matthew Henry’s Commentary on the Whole Bible: Complete and Unabridged in One Volume (Peabody: Hendrickson, 1994), Mt 28:16–20 for a detailed exposition of the three implications of Christ’s command to his Apostles has on the administration of baptism. 49 Robert Rollock, Select Works of Robert Rollock. (Grand Rapids, MI: Reformation Heritage Books, 2009), p. 660-61. 50 Freeman, “The Great Commission and the New Testament.” p.18. 51 Robert Rollock, Select Works of Robert Rollock. p. 661. 52 The formula is a strong affirmation of trinitarianism. 53 John Calvin and William Pringle, vol. 3, Commentary on a Harmony of the Evangelists Matthew, Mark, and Luke (Bellingham, WA: Logos Bible Software, 2010), 385. 54 Robert James Utley, vol. Volume 9, The First Christian Primer: Matthew, Study Guide Commentary Series (Marshall, TX: Bible Lessons International, 2000), 237. 55 Iain D. Campbell, Opening Up Matthew, Opening Up Commentary (Leominster: Day One Publications, 2008), p. 179. 56 One may argue against Jesus Christ passing the administration of the sacraments being that the Lord’s Supper is not explicitly made mention of in this Commission. Yet, this element of the sacraments had already been passed down during the Last Supper. 57 Matthew Henry, Matthew Henry’s Commentary on the Whole Bible: Complete and Unabridged in One Volume (Peabody: Hendrickson, 1994), Mt 28:16–20. 59 Matthew Poole, Matthew Poole’s Commentary on the Holy Bible. Vol. 3. (Carlisle, PA: The Banner of Truth Trust, 1975), p. 147. 60 Iain D. Campbell, Opening Up Matthew, Opening Up Commentary (Leominster: Day One Publications, 2008), p. 180. 61 John Calvin and William Pringle, vol. 3, Commentary on a Harmony of the Evangelists Matthew, Mark, and Luke (Bellingham, WA: Logos Bible Software, 2010), 391. 62 Example of the keys of the Kingdom being passed from Jesus Christ, to the Apostles, to the Elders of the Church. The Belgic Confession Article 30 states, “By this means everything will be done well and in good order in the church, when such persons are elected who are faithful and are chosen according to the rule that Paul gave to Timothy.” Citing 1 Timothy 3. 63 The historic Reformed view doesn’t know much about lay evangelism per se. Lay witness, yes, but there’s a biblical theological distinction between the gift of evangelism, and the call for all to be a witness unto Jesus Christ. Cf. The London Baptist Confession 28:1-2, The Westminster Confession of Faith 28:1, The Belgic Confession 30, and The Book of Church Order of the OPC Chapter VII. 64 Robert Rollock, Select Works of Robert Rollock. p. 675. 65 Cf. The Book of Church Order of the OPC on the four distinctive functions of the Evangelists in chapter VII, page 10. Thank you so much for this thorough exposition. This has been incredibly helpful in my journey of struggling with my own doubts of how we in the evangelical church interpret this commission.